What is the course all about? The CSD course in Zurich is in demand in companies in Zurich and those who do the certified scrum developer training in Zurich see a big jump in their career. Offering invaluable information coming from experienced and proficient trainers, KnowledgeHut specializes in the technical course on agile methodologies in the Scrum environment. By the end of the course, the candidate can effortlessly know the usage of agile methodologies for continuous improvement. The CSD certification in Zurich teaches how to apply the scrum fundamentals and also ways to apply the best practices to create quality software. This course lets professionals learn through the certified scrum developer training in Zurich credential which shows that the aspirant is abreast with scrum principles that can be readily applied to a working environment. 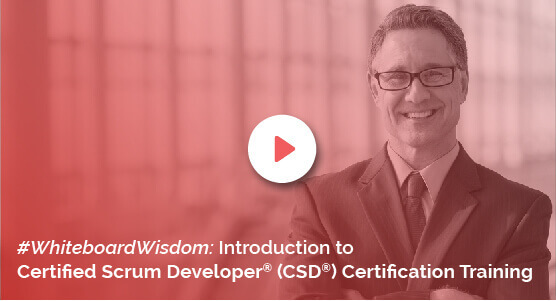 Benefits of the course Those who register for the certified scrum developer certification can benefit from immediate developments without the need for iterations. The course also emphasizes on providing better career opportunities through the incorporation of agile practices. Offering an opportunity for aspirants to stay in touch with experienced Scrum experts, this course comes as a boon to upcoming techies. The KnowledgeHut Way The fee to register at the KnowledgeHut institute is not very steep and the basics of the material are taught using lectures, online demo sessions and practice sessions. The course is conducted by the best tutor at the academy who comes with years of experience in this field.